When does an SKU need to be stored in dynamic vs. static storage? What’s the optimal storage concept for your operation? The ideal storage equipment for a given product can vary based on load, picking method, throughput, shipping issues and many other factors. Usually it involves a blend of shelving, racks, cabinets, and other means of organizing product in a given footprint. One of the questions that comes to mind is the line where a product or group of them is best slotted into shelving and bins, or if that product is best suited for carton flow solutions. Let’s examine the factors. Static storage vs. flow storage: what’s best for your load? Carton flow is better for each picks than it is case picks, but it’s viable for either in the right situation. Flow storage helps reinforce organization and the order in which a product is picked because it’s first-in, first-out and naturally rotates inventory. It has better product density than most static solutions since you can use the full depth of a rack bay, although that isn’t the main factor in its favor. It’s lots easier to re-stock than shelving because the replenishment team simply puts away new stock in the back of the rack rather than being in the picking lanes. Knowing these factors, what are the decision points? How often is the item picked or accessed? Target your fastest-moving SKUs by unique number of picks and not total stock numbers. When a product produces a large number of picks it’s an excellent gravity flow candidate due faster picking, inventory rotation and storage density. Because flow rack is typically more expensive than static storage by cubic feet, it’s usually reserved for fast movers with a high average number of picks per day. If you can pick a lane in one week, flow storage is ideal. Use flow storage when restocking is done during work shifts. The case for gravity flow strengthens when restocking must be done during work hours. As mentioned above, the restocking process in a flow storage area doesn’t interfere with active picking. When you have limited space. 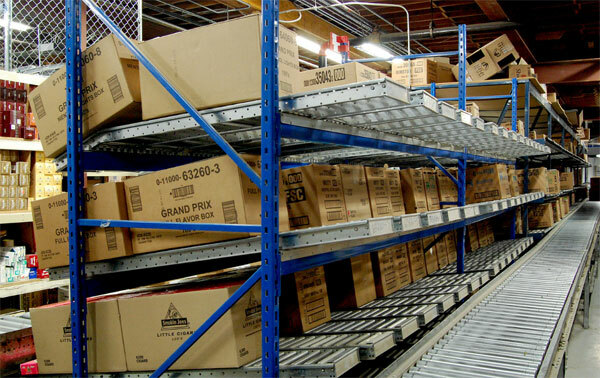 If you have a limited amount of flow storage space, you should frequently analyze order picking activity and shift slower items to shelving or racks for newer, or faster movers. Don’t do this so infrequently that it becomes a tangled mess — you should not allow it to get to the stage that it is major undertaking. Cost factors: Flow storage is more expensive than static shelving, so you should deploy it only in the right situations. For case picking, carton flow is a mid-tier solution. Too many picks and you should pick from pallets; too few and the item should be stored in bulk racks or shelving. Look at weekly volume: If you’re picking the SKU weekly or more often, flow storage should be considered. Less often than that, and you may consider pallet or shelf picking. Fast moving cases are better static. Once you hit half a pallet per week in carton picks for a particular SKU, you should probably pick directly from a pallet. 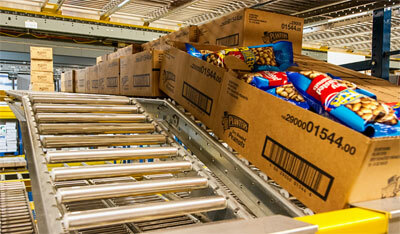 Many companies opt for flow storage due to ergonomics, but there are sliding pallets that can reduce those concerns. Also, if you are picking that many cases, the cost to putaway that pallet, restock storage media, etc may pile up. Slow moving cases are better picked shelving. Save your limited flow storage space for faster moving items. What else makes a case pick viable for flow storage? First, it’s good to reduce refill time for slow moving cartons. This is usually set at five times a day. Also, if you are restocking during a work shift, carton flow separates picking lines from restock zones. If inventory rotation is critical, then flow storage helps you achieve FIFO (first-in, first-out). Group items of similar height together: You should constantly evaluate vertical space in flow storage. It’s natural to install your flow shelves at exact, identical vertical spaces, but that’s not how it should work due to the fact that load profiles vary. When some loads are smaller than others, that space can reduce the order picking employees’ ability to reach over the top of the case to pull individual items. If your shelf level is too much, you may be wasting precious vertical area you could use elsewhere. The takeaway: frequently examine load profiles to be sure they are optimized for the product and workload. How did you design your restocking process? Generally if you can go through a single pick face (that’s one carton flow lane) in seven days, carton flow is an easy call for that item. You’ll recoup the extra cost of the flow storage solution very quickly and the replenishment process won’t interfere with the order picking process because you can stock from the back of the rack and neatly out of the way while pickers are picking. Can you mix shelving/bulk racks and carton flow? Of course you can, and in most operations you should. Sometimes the same SKU can live in both places. This might be the case for items that are picked from dynamic storage at peak times or seasons, but not during slow periods. You might have a rush order area where a slow mover has presence in the flow rack, for faster turnaround times. You could also build a bulk/palletized reserve stock area that feeds the flow storage. We’ve done priority customer pick areas where the flow storage is set up for those highly important clients you must serve quickly. These schemes take dedication and time to execute, but can be very productive when done correctly. When travel time is a concern, flow storage shines. Travel time is a critical time waster in many operations. 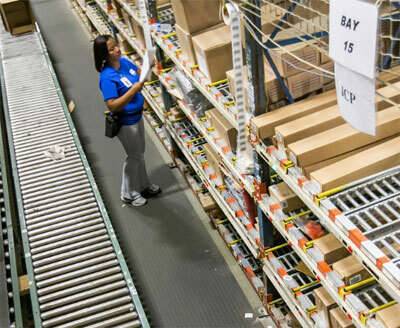 One of the most productive reasons to deploy carton flow is that it puts the order picker closer to her picks. She’s able to spend less time walking to things and more time picking orders. Carton flow can slash 75% of walk times when correctly laid out. Labor is typically the most expensive piece of a warehouse cost analysis, so it’s always worthwhile to find ways to utilize it better. See infographic: “The Walking Dead” of warehouse productivity.